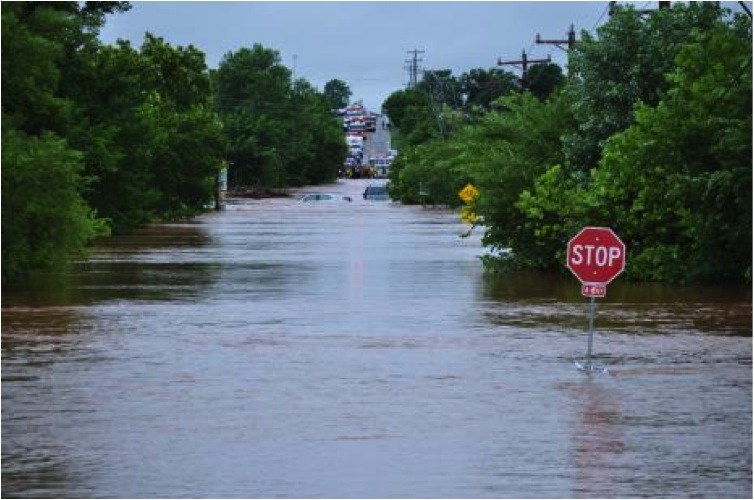 A research team from NSSL is leading the NOAA Hazardous Weather Testbed – Hydro 2014 (HWT-hydro) project from July 7 – Aug. 1 to evaluate and improve experimental products used by the NOAA National Weather Service to issue flash flood watches and warnings. Participants include NOAA scientists, technology developers, and operational forecasters. HWT-hydro will coordinate operations with the 2nd annual Flash Flood and Intense Rainfall experiment (FFaIR) at the NOAA/NWS Weather Prediction Center (WPC) to simulate the collaboration that occurs between the National Weather Service’s national centers, river forecast centers, and local forecast offices during flash flood events. HWT-hydro and FFaIR will simulate the real-time workflow from WPC 6-24 hour forecast and guidance products to experimental flash flood watches and warnings issued in the 0-6 hour period. 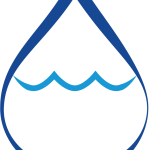 The HWT-hydro team will shift its area of responsibility on a daily basis to where heavy precipitation events and associated flash flooding is anticipated. 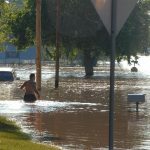 – Enhance collaboration across testbeds, and between the operational forecasting, research, and academic communities on the forecast challenges associated with short-term flash flood forecasting. 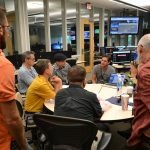 Researchers will collect feedback from NWS operational forecasters through comments during their shifts, live blogging, electronic surveys, and de-briefings. NWS feedback is critical for future development and eventual implementation of new applications, displays, and product concepts into AWIPS2 and other operational systems. 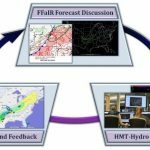 HWT-hydro 2014 provides a real-time environment to rapidly test the latest observational and modeling capabilities so they may be improved and optimized for transition to operational decision-making in the National Weather Service.